Researchers from Case Western Reserve University School of Medicine and colleagues have discovered how two brain regions work together to maintain attention, and how discordance between the regions could lead to attention deficit disorders, including schizophrenia, bipolar disorder, and major depression. People with attention deficits have difficulty focusing and often display compulsive behavior. The new study suggests these symptoms could be due to dysfunction in a gene–ErbB4–that helps different brain regions communicate. The gene is a known risk factor for psychiatric disorders, and is required to maintain healthy neurotransmitter levels in the brain. In a study published in the current issue of Neuron, researchers showed mice lacking ErbB4 activity in specific brain regions performed poorly on timed attention tasks. The mice struggled to pay attention and remember visual cues associated with food. Neuroscientists describe the kind of thought-driven attention required for the tasks as "top-down attention." Top-down attention is goal-oriented, and related to focus. People who lack efficient top-down attention are at a higher risk for attention deficit hyperactivity disorder (ADHD). The study is the first to connect ErbB4 to top-down attention. 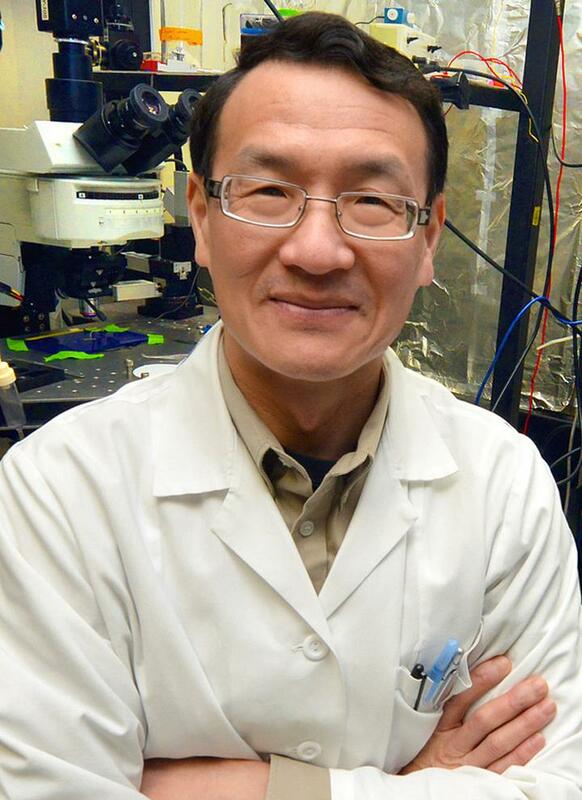 "The results reveal a mechanism for top-down attention, which could go wrong in attention disorders," says corresponding author Lin Mei, PhD, professor and chair of the department of neurosciences at Case Western Reserve University School of Medicine. "And since ErbB4 is a risk factor for schizophrenia, bipolar disorder, and major depression, the results provide insights into mechanisms of these disorders." When the researchers attached probes to the mice to measure brain activity, they found mice without ErbB4 had brain regions that were acting independently, rather than together in synchrony. In particular, the researchers studied the prefrontal cortex–normally associated with decision-making–and the hippocampus–a region that supports memory. These two regions coordinate for a variety of brain tasks, including memory and attention. "We found top-down attention, previously thought to be controlled by the prefrontal cortex, also involves the hippocampus in a manner where the two regions are highly synchronized when attention is high," says Mei. "Our findings give importance to synchrony between the prefrontal cortex and hippocampus in top-down attention and open up the possibility that attention deficit disorders, like ADHD, might involve impairments in the synchrony between these two regions." According to the new study, ErbB4 coordinates a cascade of brain signals that "bridge" the two regions. ErbB4 itself encodes a receptor found on the surface of brain cells. The study found that when a protein (neuregulin-1) attaches to the ErbB4 receptor, it triggers a chain reaction that ultimately determines neurotransmitter levels in the prefrontal cortex and hippocampus. Without ErbB4, neurotransmitter levels go awry. The researchers discovered mice lacking ErbB4 have low levels of a particular neurotransmitter–GABA, or gamma-aminobutyric acid–in their brain. Low GABA levels can lead to impaired top-down attention in the prefrontal cortex, and impairs how the prefrontal cortex can efficiently coordinate with the hippocampus. The researchers concluded that ErbB4 helps link the two brain regions to maintain attention. The study used a novel mouse model to study brain functions. By using genetic and chemical techniques, Mei's team can specifically inhibit ErbB4 in a specific brain region. "We generated a mutant mouse that enables us to inhibit ErbB4 activity whenever and wherever we want, thus allowing temporal and spatial control of ErbB4 activity," says Mei. "This positions us to understand how different brain regions and their neurotransmitter activity regulate various brain functions." The researchers are planning to use the novel mouse model to study how ErbB4 may coordinate brain activities, in an effort to learn more about mechanisms behind attention deficit disorders. This study was supported by a grant from the NIH (MH083317 to Lin Mei). Zhibing Tan is supported in part by a 2017 NARSAD Young Investigator Grant from the Brain & Behavior Research Foundation (26842).